The Social Believability in Games Workshop of 2015 (SBG2015) is organised in cooperation with the AAAI Conference on Artificial Intelligence and Interactive Digital Entertainment (AIIDE’15). The workshop will be held on the 15th of November 2015 at the University of California Santa Cruz, California. The Social Believability in Games Workshop intends to be a point of interaction for researchers and game developers interested in different aspects of modeling, discussing, and developing believable social agents and Non-Player Characters (NPC). This can include discussions around behavior based on social and behavioral science theories and models, social affordances when interacting with game worlds and more. We invite participants from a multitude of disciplines in order to create a broad spectrum of approaches to the area. From the beginning of digital games, AI has been part of the main idea of games containing acting entities, which is to provide the player with “worthy” opponents (NPCs). The development of multiplayer games has increased the demands put on the NPCs as believable characters, especially if they are to cooperate with human players. However, the social aspect of intelligent behavior has been neglected compared to the development and use AI for other domains (e.g. route planning). In particular, the interplay between intelligent behavior that is task-related, the emotions that may be attached to the events in the game world, and the social positioning and interaction of deliberating entities is underdeveloped. This workshop aims to address this deficiency by putting forward demonstrations of work in the integration of these three aspects of intelligent behavior, as well as models and theories that can be used for the emotional and social aspects, and for the integration between the three aspects. 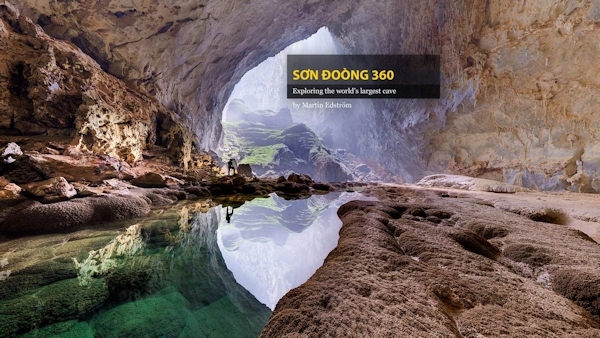 A series of 360° panoramas allows anyone with an internet connection to experience Vietnam’s Son Doong cave, one of the planet’s biggest. Son Doong is one of the world’s largest caves, with enormous chambers that can comfortably fit a 747 airplane or an entire New York City block full of 40-story buildings. Its mammoth chambers extend so far that explorers have called Son Doong an “infinite cave.” And with an amazing new digital tour, you can plunge below ground to see it yourself without ever leaving the country. Pictures have offered stunning peeks into the cave, which is located in central Vietnam’s Phong Nha-Ke Bang National Park, since explorers discovered it in 2009 with the help of a local guide. But the attention of curious sightseers is a double-edged sword; planned construction projects to make the cave more accessible to tourists could harm the formation’s unique environment. Photojournalist Martin Edström hopes to bring the cave to as many people as possible. He also wanted to document Son Doong in its relatively untouched state, just in case those construction plans go through. So he set out with a team in January 2015 to build a virtual tour of this roughly 2.5-mile-long (four kilometers) cave. Digital “tourists” can mouse through 360° panoramic views of key sections of Son Doong on a smartphone, tablet, or desktop computer. Some of the largest passageways are about 300 feet (91.4 meters) wide and over 600 feet (182.9 meters) high. Design Researcher (0.6 fte) at the Amsterdam University of Applied Sciences (HvA) for a position within the Media, Creation and Information Knowledge Centre. The research project is part of the Amsterdam Creative Industries Network programme at the Amsterdam University of Applied Sciences, and more specifically at the Interaction & Games Lab. The Play and Civic Media lectureship, under which this position falls, focuses on research into digital and nondigital play and urban interaction design that optimizes the user experience. The most important question addressed by this research is how design thinking, strategies, tools and software can be implemented to increase the effectiveness of game, play and other forms of urban interaction and self organisation. This can cover learning goals within educational processes, behavioural change in health care, or attitudinal change with regard to all kinds of societal issues. The findings of this research are of great importance to the Dutch gaming industry. Researchers working within the lectureship and at the Lab are expected to be actively involved in networking and maintaining contacts within the industry, formulating relevant research questions and providing feedback on the results. Incorporating new insights within the university curriculum is also part of the role. The researcher will conduct research independently, supervise other researchers, and play an active role in projects that are conducted as part of the lectureship at the Lab. He or she is responsible for securing external funding for new projects, and is able to define, control and structure his or her own research projects. For the first time, ASMR experiences are pioneering beyond simple soft talk. Several years ago, a small number people on internet message boards started bonding around a shared experience: how the sound of whispering, crinkling or tapping produced a relaxing, even euphoric tingling sensation in their bodies. Dubbed ASMR—autonomous sensory meridian response—the phenomenon has sparked a thriving subculture of whispery video creators on Youtube, and now, the first ASMR experience created specifically for virtual reality. Manuscript should be prepared according to the IJHCS Guide for authors. Please select SI: ACI when you reach the “Article Type” step in the submission process at http://ees.elsevier.com/ijhcs/. Animals have interacted with technology for a long time. Already in the ’60s, bears were wearing tracking devices within conservation research; while mice and pigeons were working with operant chambers in task-driven behavioral experiments. In the ’80s, great apes were using early touch-screen computers to learn human language in comparative cognition studies, followed in the ’90s by dolphins using underwater keyboards for similar communication tasks. Meantime, cows were being introduced to early robotic milking systems thanks to the latest advances in agricultural engineering. Until recently, the development of these technologies has been driven by disciplines other than Interaction Design; consequently, questions pertaining to the usability and experience of such technologies from the perspective or animal users, to the design processes that inform animal-computer interactions, or to the articulations between animals’ physiology, psychology, sociality and interaction design, were not explicitly addressed. informing user-centered approaches to the design of technology intended for animals, by systematically exploring, adapting and evaluating theoretical and methodological frameworks and protocols derived from both HCI and animal science (e.g. rapid prototyping and agile iteration; preference testing). As a discipline, ACI could yield benefits that go well beyond animal wellbeing and the improvement of human-animal relations. Indeed, far from being a niche research area, ACI could strengthen HCI as a discipline and contribute to the pursuit of the HCI community’s aspirations. For example, the development of multispecies research practices and design frameworks could enable designers to better account for the cognitive and ergonomic diversity of their prospective users. ACI could also broaden participation in interaction design, providing inclusive technology to support multispecies communities, and lead to the development of more sustainable forms of technologically supported living. In the longer term, by bringing more-than-human voices to the design table, ACI could help us revisit anthropocentric biases in human activity and interspecies interaction, and contribute to the exploration of alternative models that can better support biodiversity and foster environmental restoration. I have experienced the future of remote work, and it feels a lot like teleportation. 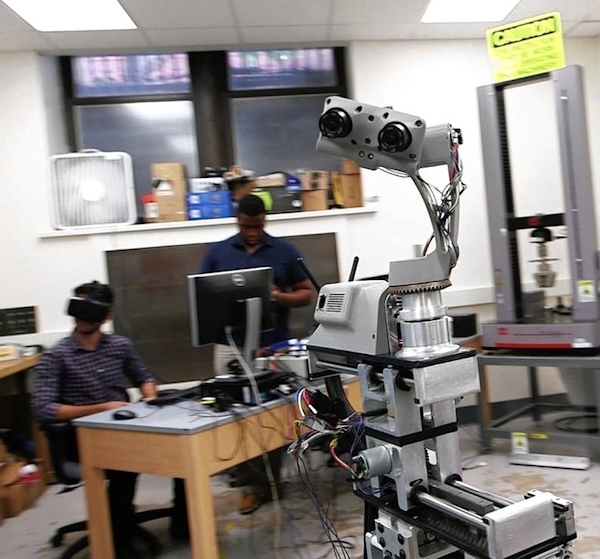 Whether I was in a conference room studded with monitors, on a video-chat system that leverages 3-D cameras, or strapped into a virtual-reality headset inhabiting the body of a robot, I kept having the same feeling over and over again: I was there—where collaboration needed to happen. The workshop on “Virtual Environments and Advanced Interfaces” within the 14th IEEE International Conference on Ubiquitous Computing and Communications (IUCC-2015) that will be held on 26-28 October 2015 in Liverpool, UK aims to promote the discussion about ways of enhancing human computer interaction and communication in Immersive Virtual Environments. To address relevant challenges, VR software and hardware need to be adopted in embedded environments to allow intuitive interaction between users and/or agents. It will provide an opportunity for researchers and practitioners to present their latest work on evaluating the impact of advanced interfaces on human interaction and communication and will highlight innovative applications and research outcomes. Retinad, a company working to bring immersive advertising and analytics to virtual reality, has just closed a $500,000 early-stage round to bring their solution to market. 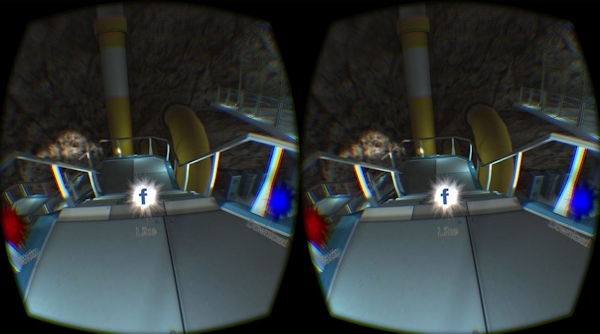 Avoiding the worst case banner-in-your-face approach, the company is jumping feet first into VR, bringing immersive (but not invasive) pre-roll ads and useful analytics tools that could be a hit with developers and advertisers alike. Regardless of your stance on ad monetization, it’s an important revenue generator that funds the continued creation of content that otherwise wouldn’t exist. Fortunately, Retinad is smartly adapting ads for the medium of VR itself, rather than just plastering banners between users and their content. The company is primarily pitching a ‘pre-roll’ approach which presents users with an immersive advertisement at the start of the VR game or experience. That ad can be a 360 video or photo, and it includes gaze-based action-points for user interaction like Skip, Like, and More Info. The double-blind peer-reviewed Yearbook of Moving Image Studies (YoMIS) is now accepting articles from scientists, scholars, artists and film makers for the second issue entitled “Image Embodiment: New Perspectives of the Sensory Turn.” YoMIS will be enriched by disciplines like media and film studies, image science, (film) philosophy, art history, game studies and other research areas related to the moving image in general. Theories addressing the embodiment of the human mind discuss the relationship between subject and environment. Especially the international discourse in philosophy and cognitive psychology reflects the topics of embodied cognition (see Lakoff & Johnson 1980; Clark 1997; Gallagher 2005), extended or embedded mind (Haugeland 1995; Clark & Chalmers 1998), multimodality of perception (vgl. Nanay 2013) and enactivism (see Varela/Thompson/Rosch 1991; Noë 2004). Recent evolution of media technologies, like interactive and immersive media, VR displays, AR applications, natural interfaces or embodied interaction, emphasise the role of the lived body in theoretical and applied areas. Different studies indicate that the analysis of the processing of mediated sensory data need to involve the crucial functions of the lived body interweaved with the structure of the human mind. 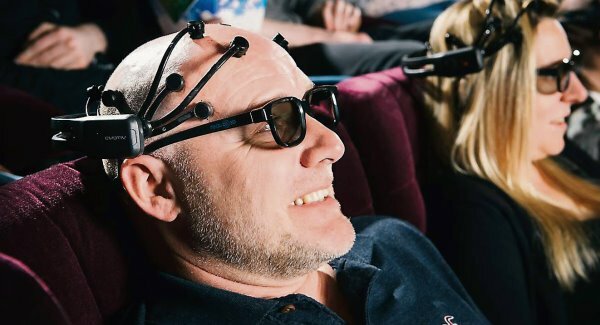 A scientific experiment has shown 3D movies to have a positive impact on brain activity. If you’ve been to a 3D movie in the last couple of years, you can probably appreciate that it creates a more immersive experience. However, a group of scientists and neuroscientists believe it can do more than just that – they say it heightens brain activity in such a way that it could actually be used to slow decline in cognitive function.